Restaurant week, greeneggs cafe and ramen! So last week I was in Philadelphia, the city of brotherhood. Or something. HAHHAA I lived there previously for a year, and attended the most awful catholic middle school. The only good thing that came out of that experience was the ever lasting friendship made through those awful experiences. So overall kind of worth it? 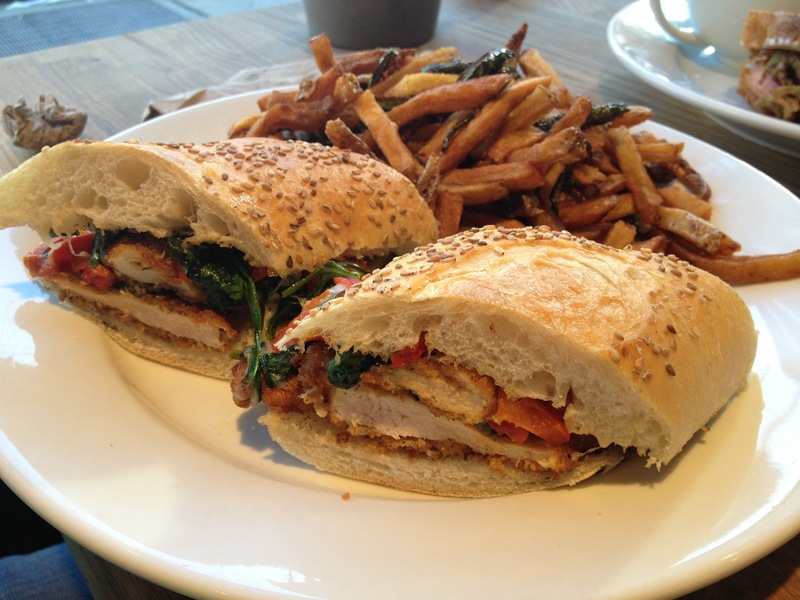 Anyways back to the food, I was there when restaurant week was in! Lets talk about that first, I went to Lacroix with my Canadian friend who happens to go Upenn! Weird meeting up with my Canadian mates in a different country but it was fun. Lacroix is located inside The Rittenhouse hotel in center city. As with restaurant week guidelines it was a 3 course meal; appetizer, entree and dessert. 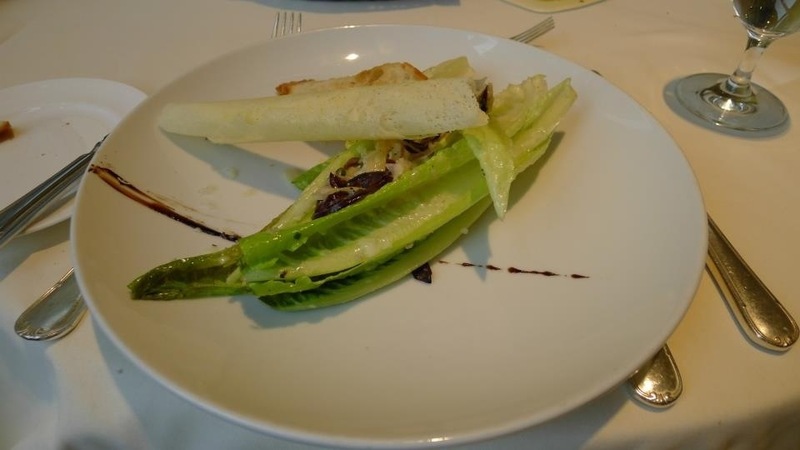 My first course was the Cesar salad! It was good? Crunchy and fresh leaves? I can’t gauge salads since I just love salads not matter what. Next course I appreciated a lot more! 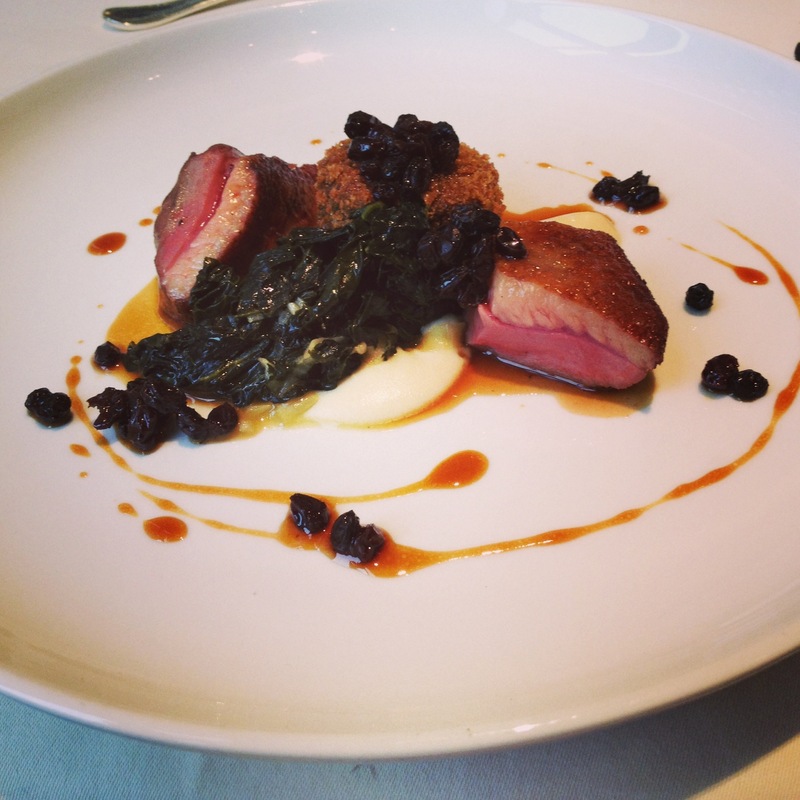 It was duck with a very complimenting raisin sauce. I loved everything about this dish, the texture, the flavors and it was so pretty too! Or at least as pretty as food gets really haha. 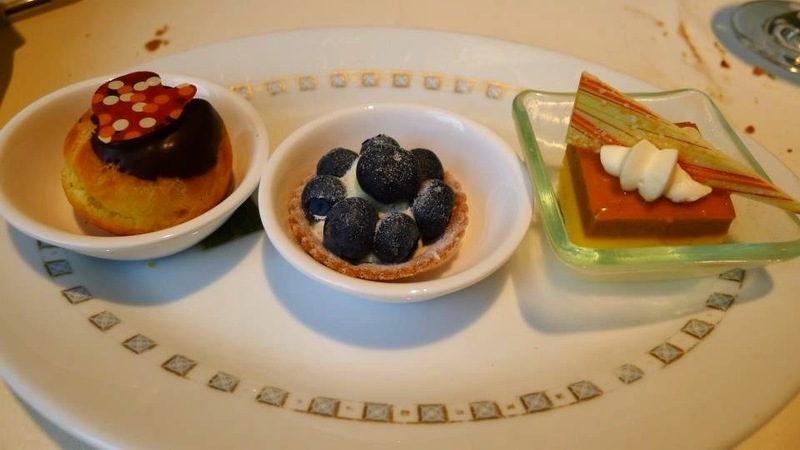 The last course was a trio of mini desserts, my favorite was the blueberry tart in the center…because blueberries! Hahaha it was nothing out of the ordinary really but still good. Just didn’t really have that wow factor. However the brunch the next day completely made up for any lack I sweets I had the day before! The Greeneggs Cafe is a MUST if you’re ever in Philadelphia! Just be wary of the day, we went on a Saturday and had to wait 50 minutes for a group of four! But it was completely worth it! Yeah, please go if you’re ever around. I shared a Pork Belly Benedict, Creme Brûlée French toast and red velvet pancakes with my friends. They also got some sandwiches. 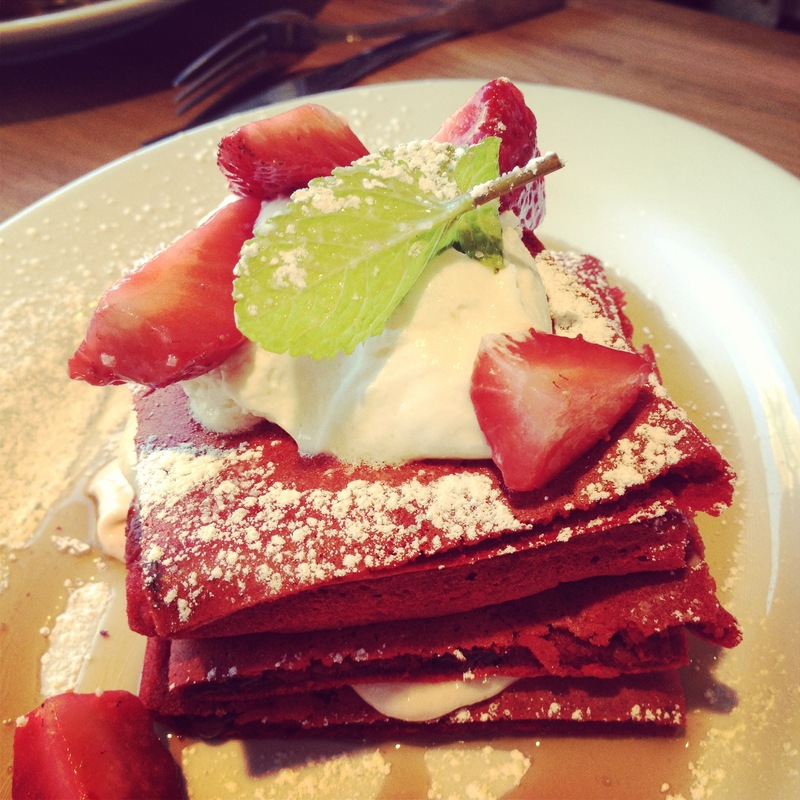 But their breakfast foods are absolutely marvelous especially their red velvet pancakes. So lets start with that one! Now that you’ve seen it I can vouch that it was everything I could’ve imagined but better! 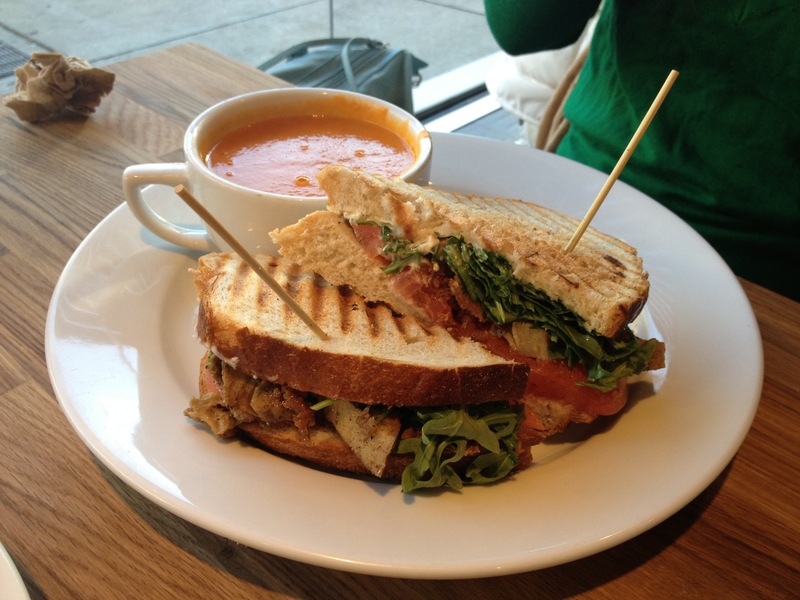 It was melt in your mouth and….DELICIOUS. Just please go try it. Next up the the Pork belly Benedict and the Creme brûlée French toast. 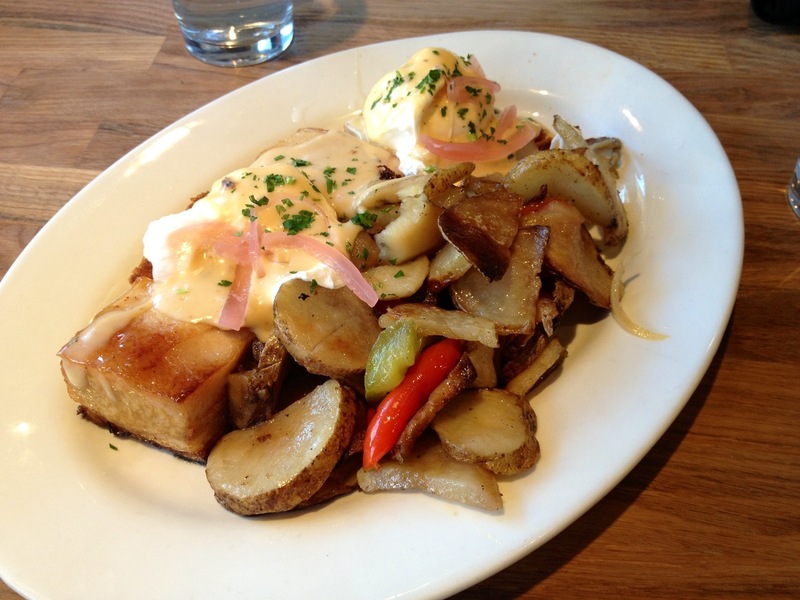 I loved love loved the Benedict, it had nice pieces of pork belly, not too fat but not too lean, the right amount of happiness? 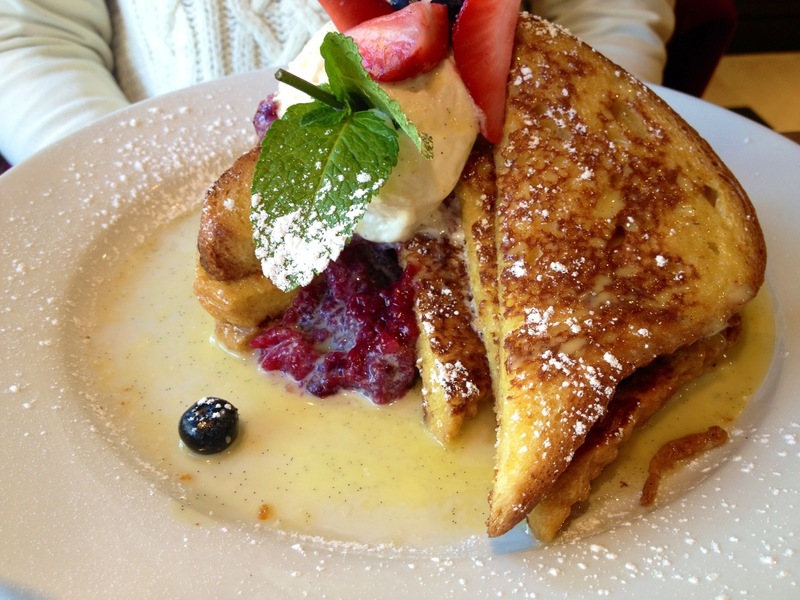 The French toast was great…just not as great as the red velvet pancakes HAHAA. I loved the berry sauce, it complimented the dish fairly well! 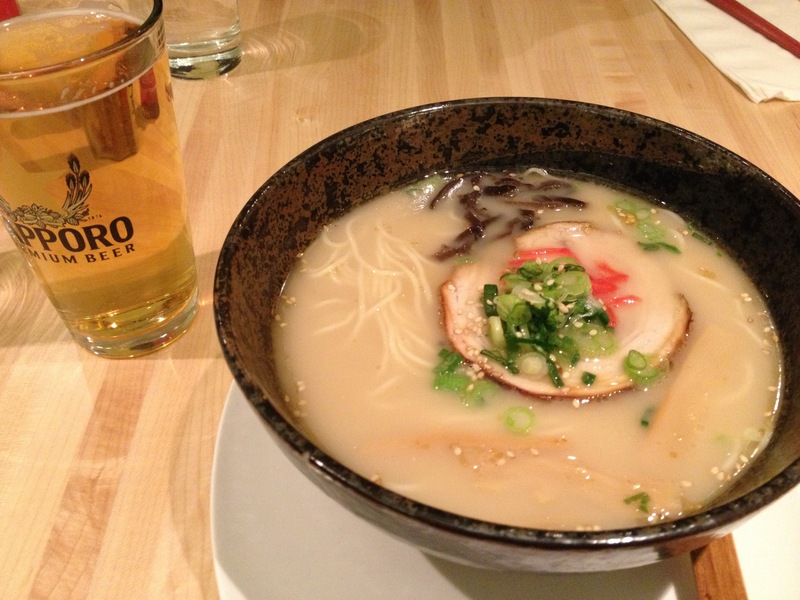 Last but not last, I went to Ramen Bar in university city! I had the tonkatsu ramen! But was a pretty decent bowl of ramen! If you’re ever in university city I suggest you try!